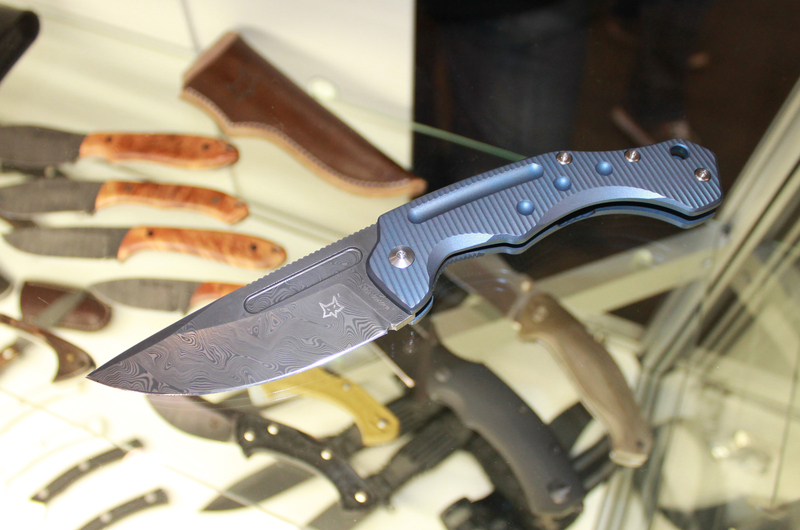 Fox Knives had this beautiful “art knife” in their collection of new items for BLADE Show 2015. 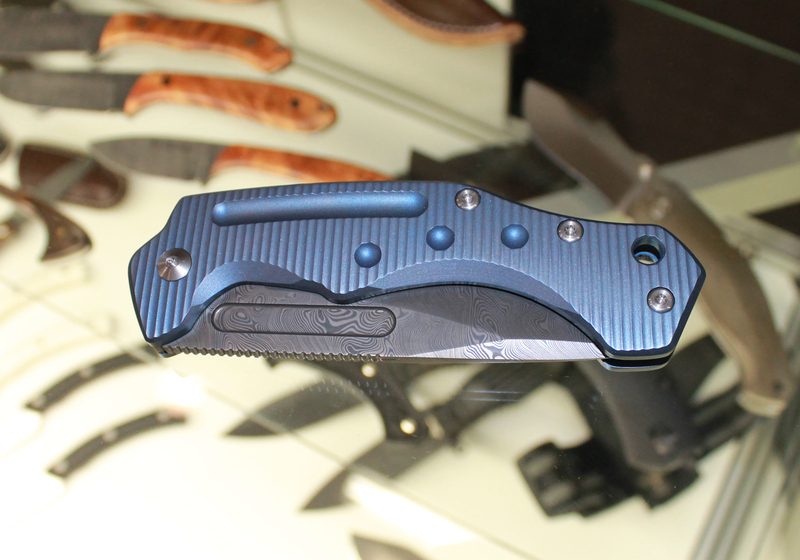 It had a damascus blade and beautifully anodized aluminum handles. It was so stunning, I forgot to ask for its description as I peered through the Canon while attempting to get adequate shots of such a nice product of Maniago, Italy. 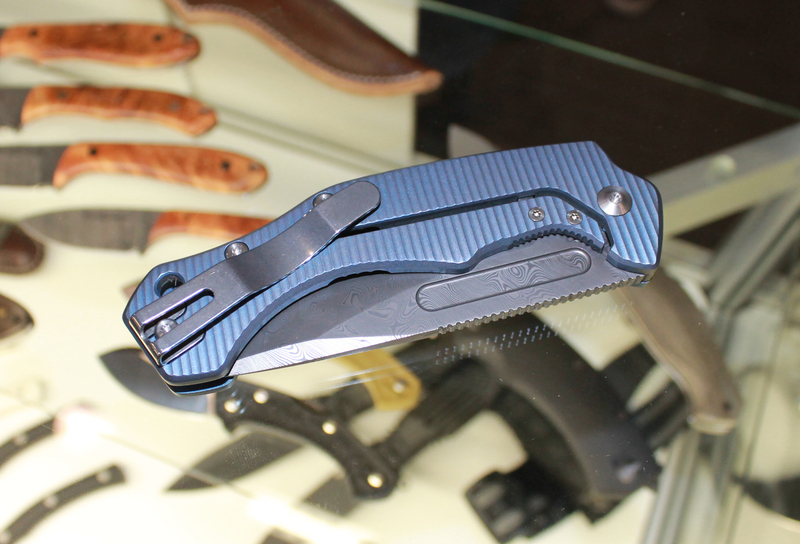 It had a framelock with a bolted steel insert to assure blade lock-up. It lacked either thumb studs or a flipper for deployment, but it had a long fuller in the upper quarter of the blade that could be used to open the blade with one hand. 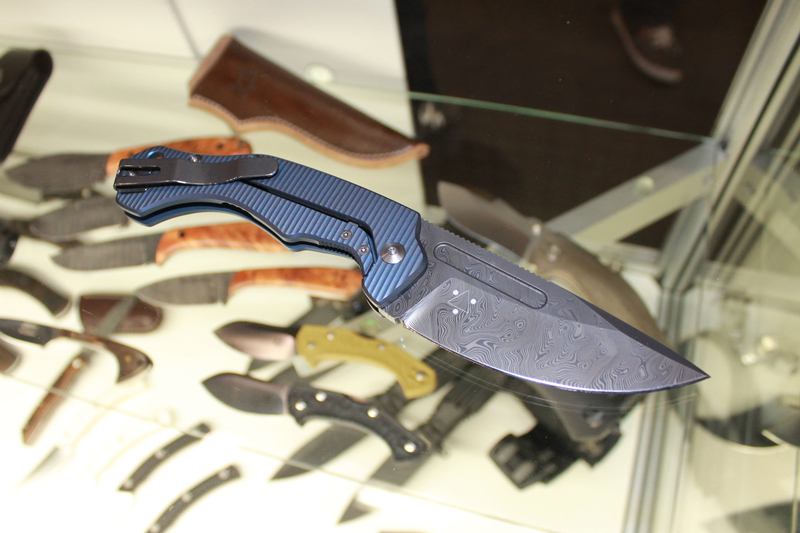 When I did get to ask a booth rep about the steel and pattern in the damascus, he said it was so new that he had no info on it. It did not appear to have debuted at the IWI Show, as I can find no descriptions of it in either Fox catalogs or on the ‘net. I am not even sure the FX520 designation is correct. If anyone out there knows what this is, chime in with a comment!